Composting cardboard is great for the planet and an easy-peasy thing to do. Plus, your garden will reap the rewards thanks to your efforts. 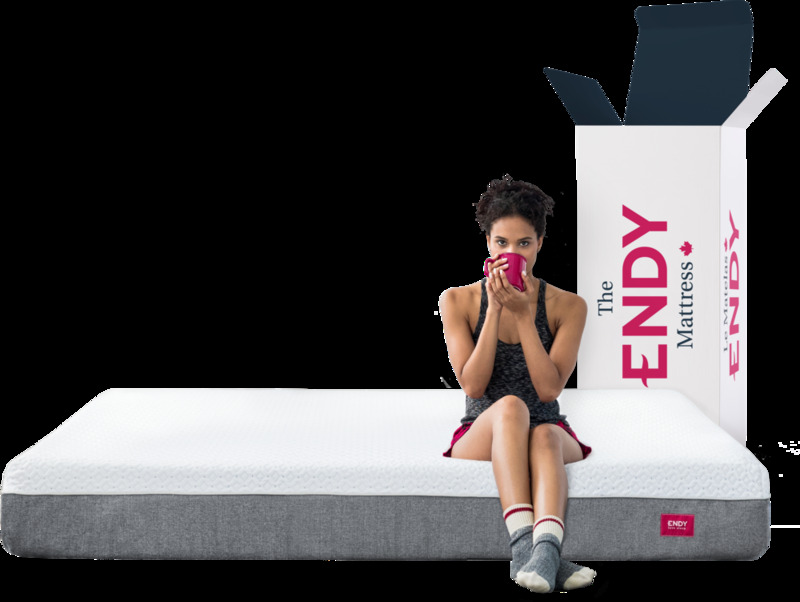 It all starts with gathering your cardboard (free of wax or gloss coatings), which just so happens to include Endy’s corrugated cardboard used to protect our products when they’re en route to your home. We’ve broken down the process step-by-step below so you can sleep better knowing you’re treating the planet well. Happy composting! Step 1: Tear + soak clean cardboard. After removing remnants of stickers or tape from the cardboard, tear it up! Smaller pieces, after being drenched with water, will decompose faster. Step 2: Combine with dead leaves, hay, etc. Add in carbon-rich materials—browns—because they’re a great source of nutrients for the soil. Steph 3: Add kitchen scraps, grass clippings, etc. *Getting a good balance of browns to greens is key, and it’s roughly a 3:11 ratio. Include a 2-inch layer of soil to your pile. Step 5: Repeat + keep it spongy. Repeat the above steps until your pile is about 4 cubic feet. Depending on the moisture, add more cardboard or water to find the right spongy balance. Step 6: Turnover the pile every 5 days. Turning over your heaping compost pile will allow for aeration—microbes need to breathe too!